Now gammon can be enjoyed all year round, cooked in many different ways and used for a variety of recipes. 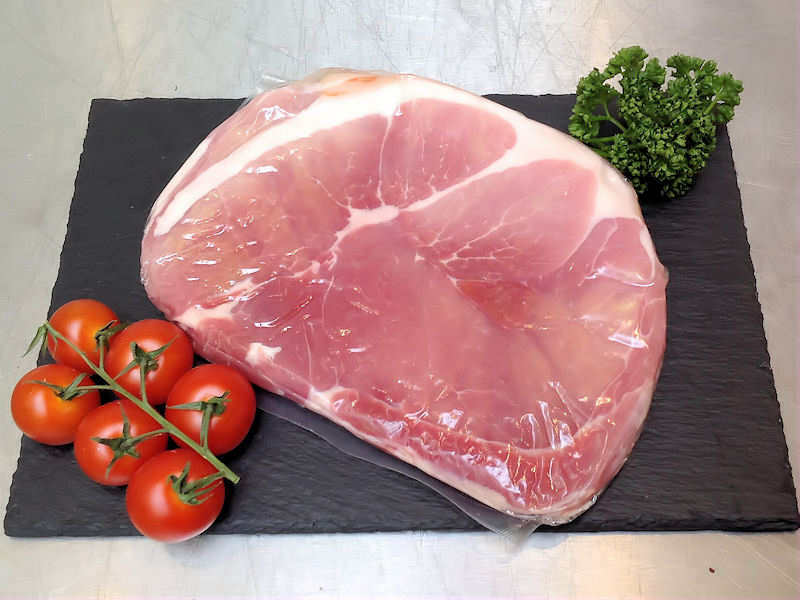 Often people don't think beyond traditional gammon steak and pineapple or roasting joints, but it is a meat that is so versatile, easy to cook, and can be combined with a wealth of ingredients. 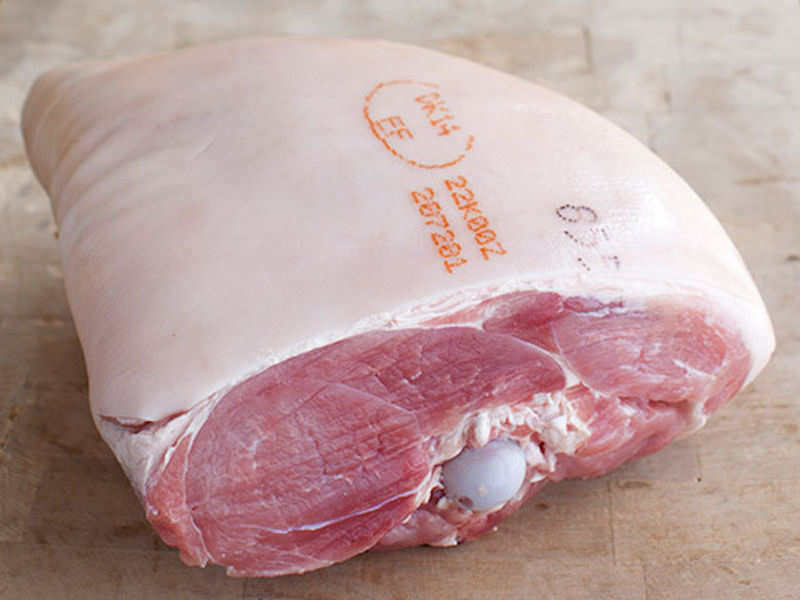 Gammon is the description which is given to the hind legs of the pig following the process to turn it into bacon. It is also common practise to remove the legs from the pig carcase and process them separately into the many different types of cure. Gammons can be smoked and unsmoked. Bone in (slightly more difficult to carve) or boneless. 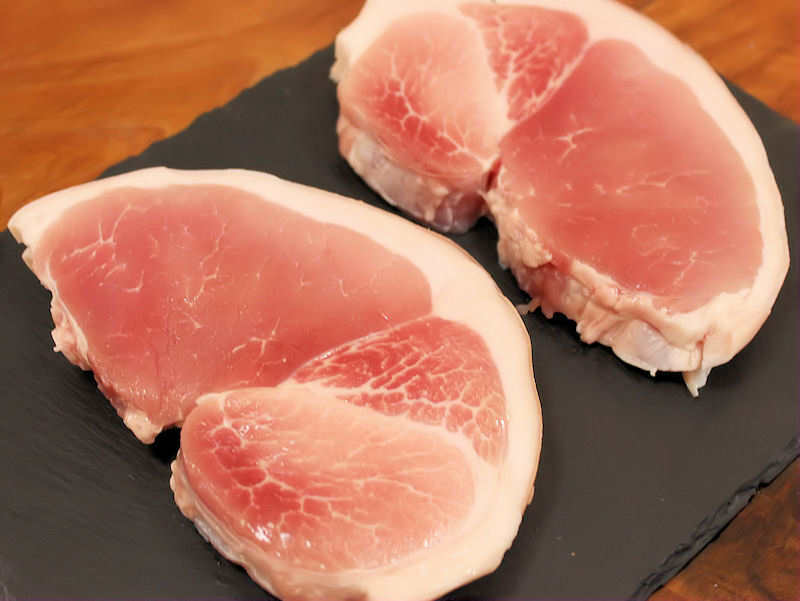 Gammon and bacon are both cured pork, the main difference between the two are which part of the pig they originate from. Gammon is the thigh and rump, cut from the haunch of a pig. Bacon is cut from either the loin (back) or belly. People often wonder what the difference is between gammon and ham. Gammon is ham before it's cooked. They're both cured in the same way. Curing in its simplest form is the preservation of meat by the application of salt. The process is straight forward, the skill is in the monitoring of the process, ensuring exactly the right conditions prevail and understanding what is taking place. 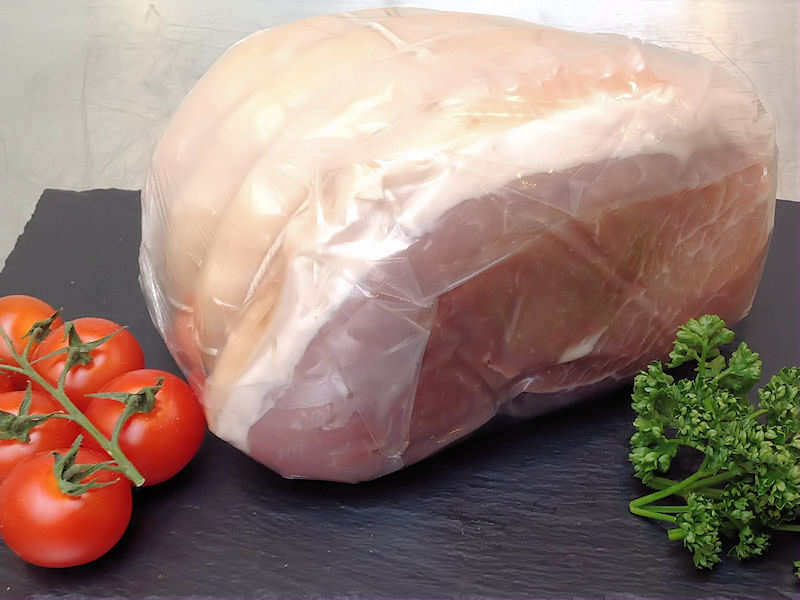 Standard gammons are often ‘wet cured’ with a brine mixture. However, dry curing, using a salt based mixture, is increasingly popular for high quality joints as it can produce a better quality texture and a more subtle flavour. 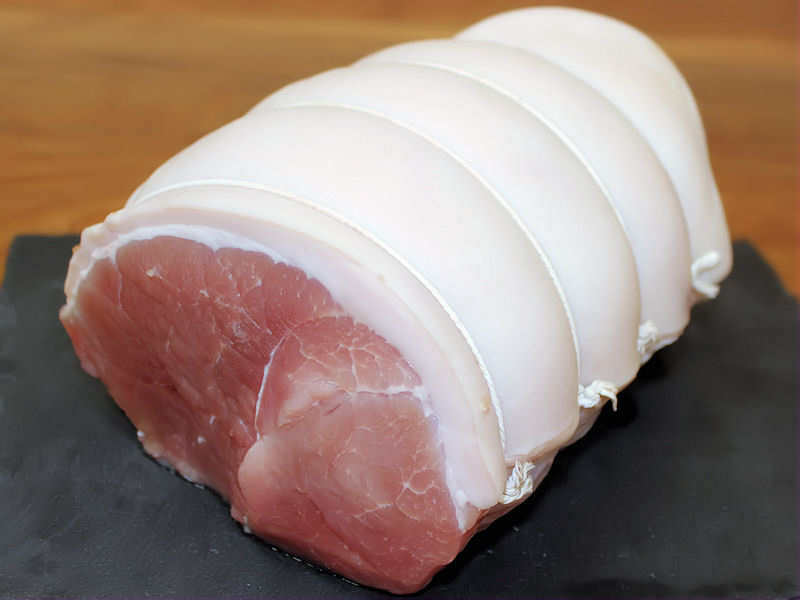 Gammon is hind leg of pork, cut from a side of bacon after curing (either dry-salting or curing in brine). It may or may not be smoked. Like bacon, it needs to be cooked before it can be eaten.It may be sold on-the-bone or boned and rolled. It may be served as a roasted joint, or as steaks or rashers. It differs from ham in that ham is cured after being cut from the carcass, and the curing process for ham may be different. Gammon hock or (or knuckle) is the foot end of the joint, and contains more connective tissue and sinew. Joints of cooked gammon are often served at Christmas. The words gammon, ham and bacon are sometimes used interchangeably. 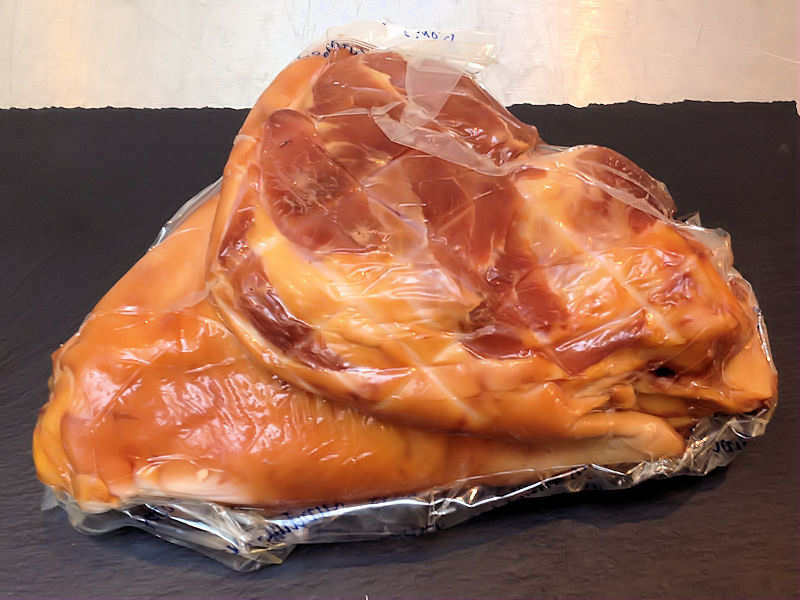 And in the USA in particular, the word "ham" may refer to raw, uncured hind leg of pork. 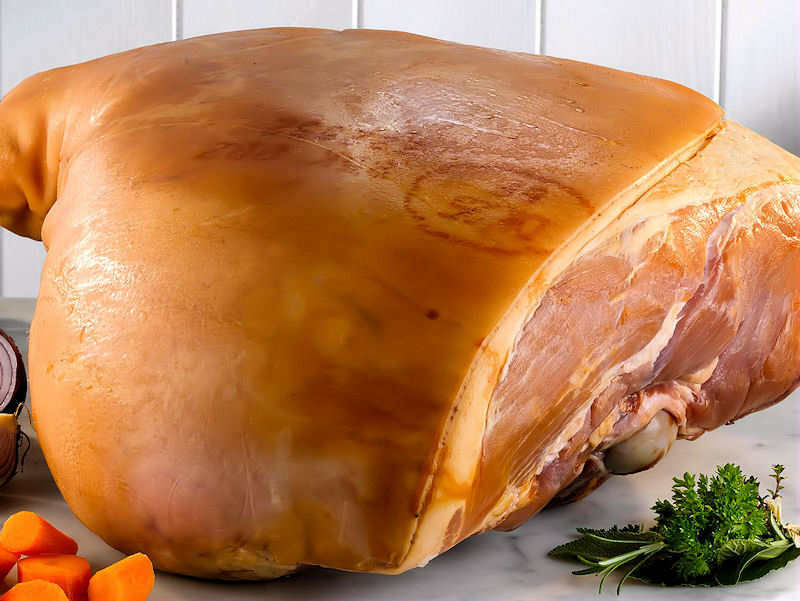 The word "gammon" is related to the French word jambon, meaning ham, which in turn is derived from the Latin gamba, meaning leg.